‘Natural‘ has become very big recently in the Equine world, with a huge rise in people showing an interest in natural horsemanship, bitless bridles and going barefoot. These people believe that by doing these things makes their horse have a more natural lifestyle and it is therefore better for their horse. I’m all for horses living as natural lives as possible. However, something about this latest trend doesn’t sit right with me. I do personally believe, that most horses, with the right management and with lower workloads, can be perfectly happy barefoot. However, some horses will never be able to cope completely barefoot, especially if they have high work loads or do lots of road work. I also feel that, horses wearing shoes, which are well maintained, do not affect the health or natural lifestyle of the horse. Whereas, a horse being very footsore due to being barefoot could potentially prevent them from displaying natural behaviours. I don’t have a problem with bitless as such. It is something I would be interested in trying with Scottie. However, for people jumping on the natural bandwagon, it could be potentially dangerous. Some horses might just respond better to the pressure of a bit than the pressure of a bitless bridle. It would be a shame if a horse was labelled ‘dangerous’ or ‘difficult’ just because it didn’t like a bitless bridle. Again, I am not against treeless saddles but some horses might not like them. I also feel that a well fitted saddle is better for a horse than a treeless. But again, if the horse accepts the treeless saddle, there shouldn’t be a problem. This is where I have a bit of a problem. Some of you may have seen my Rugging Debate post, which goes into more details of my opinions on it, but these are my basic problems. Some horses need to be rugged, especially over winter. For us to ride them, they need to be regularly groomed, which affects how insulating their coat is. Some horses also need to be clipped for us to ride them without them being too hot. Because of this, they may need to be rugged. However, what annoys me more, is people over rugging their horses. I know that there are times when horses may need a rug or heavier rug on what might not be obvious seeing the horse in the field. However, it seems that too many people think because they are a bit chilly, their horse needs a rug. Horses have a much lower mass:surfacce area ratio and therefore they deal with being too hot and too cold differently to us. It’s because of this that I believe it is better for a horse to be a bit chilly than too hot. Before I start, I believe that all riders should have at least a basic understanding of natural horsemanship and I personally love natural horsemanship. However, I too often find that many owners use Parelli (in particular) as an excuse to not tell their horses off or work them properly. All of these things can help mental health and change (not necessarily prevent) the risk of physical problems in horses. However I feel that owners preaching these things and shunning other methods are silly. Especially when they ignore natural parts of a horses life which actually affect their health and well being. In the wild horses only have a forage diet unless they stumble across something else. We are the ones who give them concentrate. 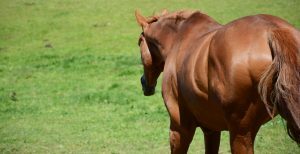 Low forage diets with too much concentrate put horses at risk of problems such as gastric ulcers. In the wild horses spend the majority of the time grazing. Therefore we should replicate this, even when our horses are stabled. There is no true excuse as even fat ponies can have small amounts of soaked hay at regular intervals. Failing to supply regular food can also lead to gastric ulcers. So why I am not against people following their ‘natural’ practices. I do disagree with some of their reasoning behind their choices. How you decide to keep you horse should depend on what’s best for your horse and not your ideals or the latest trend. 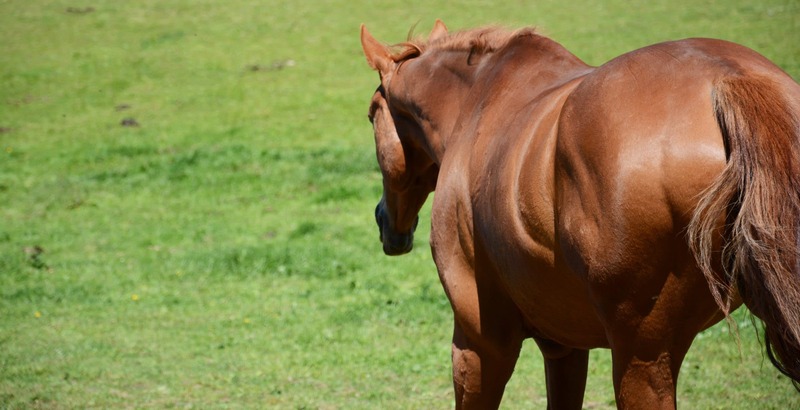 I also feel that more attention should be given to management which actually affects the general health of your horse, such as turnout and diet. Natural is great in many ways, but it isn’t a “one size fits all” type of scenario. Every horse and situation is unique. There is a lot of great information out there on horsemanship (natural or otherwise), but so much of it is generalized… before jumping into the unfamiliar do the research to learn if it is in the best interest of YOUR horse. Spot on, I couldn’t agree more. It’s definitely not a one size fits all! I definitely agree with these points! Regarding barefoot – There are obviously certain circumstances where it’s best for a horse to be in shod but the Barefoot Brigade treat it more like a religion than a sensible management decision. The ones that I’ve spoken to absolutely refuse to accept that the ridden horse’s hoof growth usually can’t keep up with the wear rate.